1 Bedroom Upper Floor Flat For Sale in Luton for £185,000. Fabulously finished...superbly situated...luxuriously laid-out...spacious and cared for! This wonderfully laid-out apartment is uniquely placed for professionals commuting to the city. If you are commuters or first time buyers that are looking for that something special then you will need to look no further than this amazing luxury apartment. 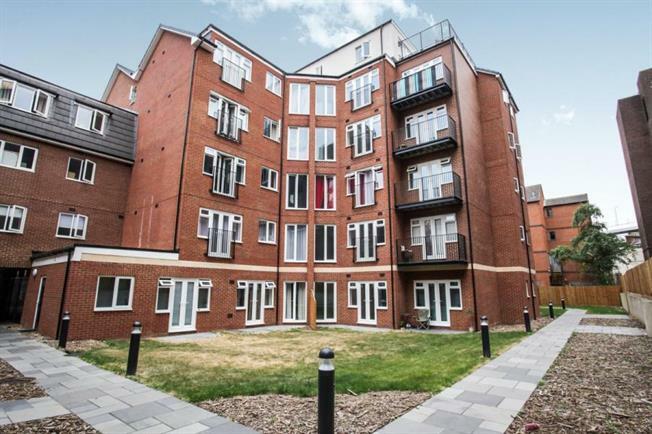 This stunning apartment offers a large entrance hall, open plan living/dining/kitchen area with integrated appliances, family bathroom that features a walk in shower and a large double bedroom with built in wardrobes. Other benefits include a lease over 100 years, two large balconies and an eight year NHBC warranty remaining. With its reasonable ground rent and service charge this is affordable living on a high end scale in the heart of the town centre call now to avoid disappointment.